Geneva: On 11 March 2016, the Unrepresented Nations and Peoples Organization (UNPO) convened a side-event to the 31st Human Rights Council Session in Geneva. With nearly 100 participants attending, the inter­national conference entitled “Faces of Oppression: Human Rights Violations in Balochistan” succeeded in drawing much needed attention to the seemingly intractable and unending cycle of human rights violations in Balochistan. Opening the conference, Baloch leader Mehran Baluch, human rights campaigner Noordin Mengal and UNPO’s Fernando Burgés highlighted the importance and timeliness of the issue under discussion, as millions of people living in Balochistan suffer on a daily basis at the hand of state-led tyranny and oppression. While Islamabad pays mere lip service to alleviating the Balochs’ grievances, there is a clear need for local and international media, as well as policy-makers and civil society to address this issue more sincerely; only by first putting it firmly in the international spotlight, can we expect to bring about changes to the appalling situation of the Baloch. Of the two experts invited to address the audience, Mr Burzine Waghmar, Senior Teaching Fellow and member of the Centre for the Study of Pakistan at the School of Oriental and African Studies, London, took the floor first. He opened his speech by elaborating on the fact that Balochistan, despite hosting large quantities of natural resources within its borders, finds its socio-economic development deliberately hindered by the Pakistani central authorities’ targeted marginalization of the Baloch people. Mr Waghmar then provided an overview of Islamabad’s opportunistic strategy of vilifying legitimate movements of marginalized and suppressed groups such as the Baloch by branding them as ‘terrorists’, while simultaneously maintaining relations with “true” terrorists from ISIL and allowing members of Al-Qaeda to more or less roam freely in Pakistan. Following the instructive speech of Mr Waghmar, the floor was given to Mr T. Kumar, Director of International Advocacy at Amnesty International USA, who stressed that the Pakistani security forces do not even try to conceal their ruthless strategy of terrorizing the Baloch population – a behaviour, that despite getting worse over the past few years, hardly gets any domestic or international attention. Enforced dis­appearances in particular are being carried out in broad daylight, creating a constant sense of fear among the local population. Mr Kumar also highlighted the fact that even if gross human rights violations by Pakistan’s security forces can be stopped, the road to justice and reconciliation for all the harm done would still be a long one. 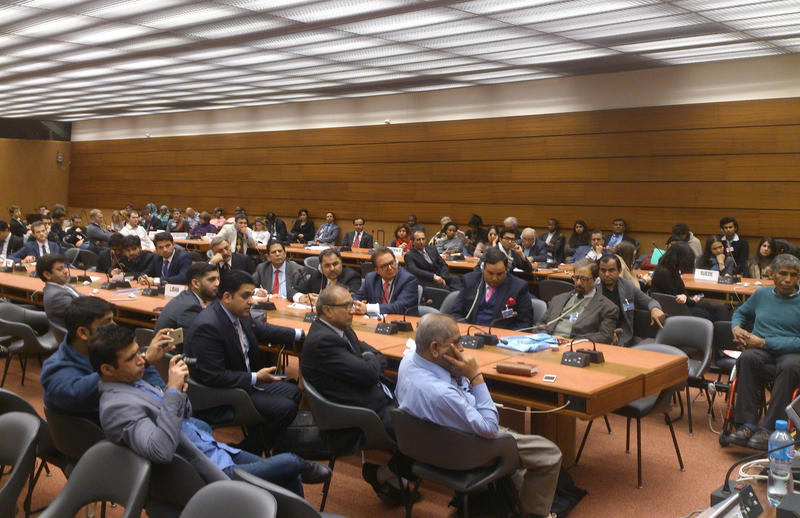 The event which was attended by the media, academics, as well as representatives of civil society and diplomatic missions allowed for a fruitful exchange of views following the official programme, including remarks on the similarly deplorable situation of the Baloch people in South-East Iran. An obvious conclusion to be drawn from the conference is that – while the successful conference was a step forward to raise awareness of the Balochs’ plight – for the situation to change, concerted efforts and swift action by all actors involved is urgently needed.